Quiver Full Adoptions is a nonprofit adoption agency located in Greenville SC, who has built a loyal following of both followers and friends who are passionate about all things adoption—ethics, education, and stories. 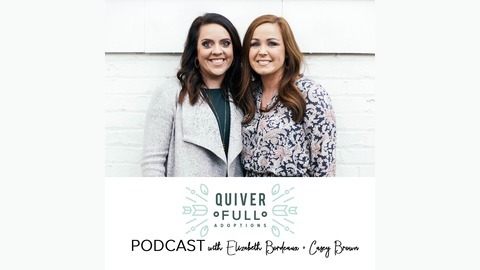 Listeners subscribe to Quiver Full Adoptions for the latest in adoption and stories from the adoption triad.The purpose of this podcast is to serve and educate adoptive families before, throughout and after their adoption. 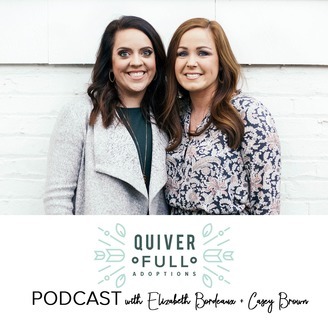 This podcast is hosted by Casey Brown and Elizabeth Bordeaux, the Co-Founders of Quiver Full Adoptions, Inc.
Elena Svetlana Hall is a proud alumni of Baylor University and working on her Master’s degree in Social Work at UTA. Her passion for adoption advocacy stems from her faith and family and her own personal story of adoption. Those who know her best know that she talks very fast and loves ice cream, singing, dancing, white rice, spending time with friends and family, and all the gluten things. But please keep cilantro far away. WE WANT YOU TO JOIN US! The Promise Summit is a Christian conference for couples considering adoption, in the wait of adoption, and/or families who have adopted. This event is packed with powerful speakers, incredible worship, a panel that represents all members of the adoption triad, and is sure to be a weekend you and your spouse will never forget! Our hope is that you leave The Promise Summit forever changed and armed with promises from God that will encourage you throughout your entire adoption journey. Purchase your tickets today or learn more information by clicking here.